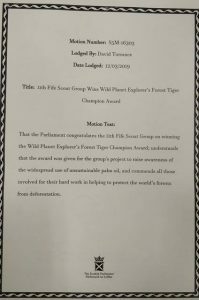 Wild Planet Explorers highlights, community, charity & conservation work. 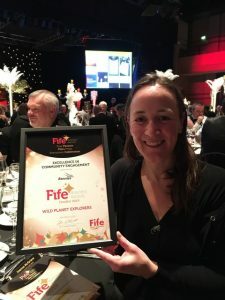 Fantastic to be a finalist at the Fife Chamber of Commerce Business Awards in Glenrothes in March 2019 in the Community Engagement Award Category for our 3P Pledge Champion Award. 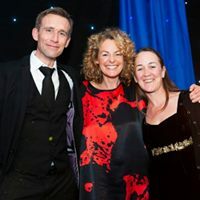 Not to be this time, with MLM Building Supplies winning the category. Next year? 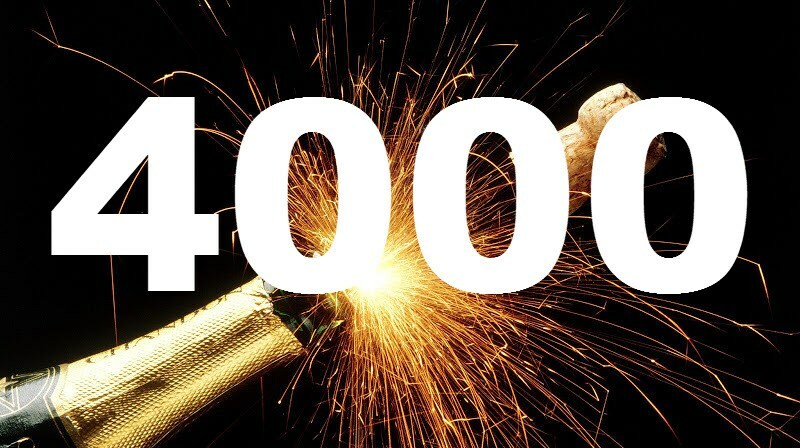 Delighted to announce that we have now engaged with over 4000 new young Wild Planet Explorer's age 3 years and up, across Scottish communities (March 2019). 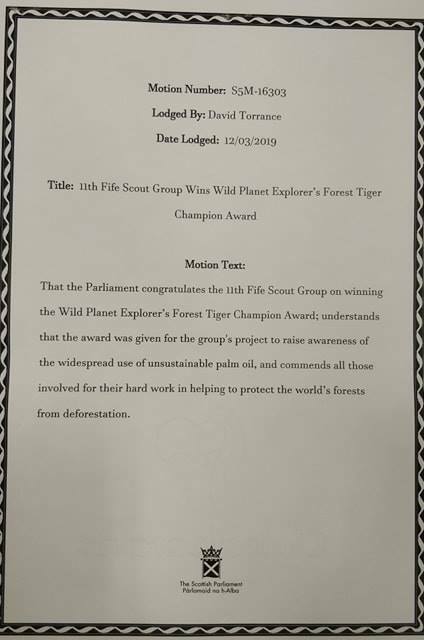 Amazing achievement's by the 11th Fife Scouts in Burntisland who are celebrating completing their Wild Planet Explorer's Forest Tiger Champion Award. 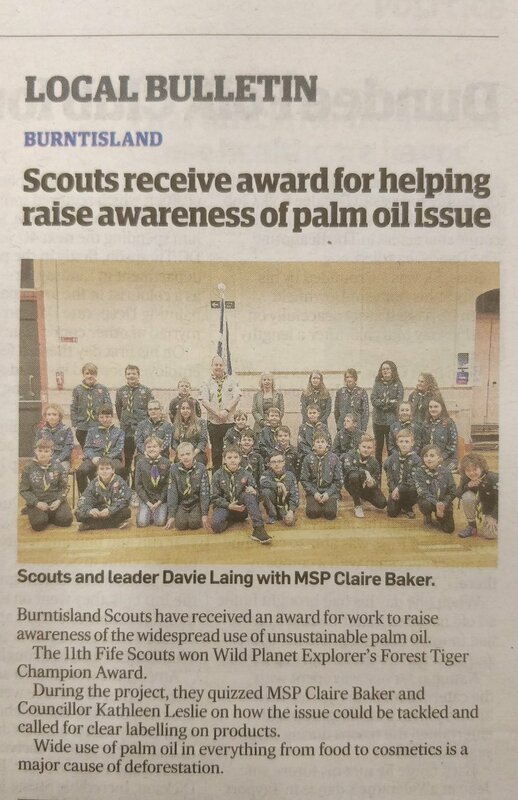 Raising awareness of the issue of unsustainable palm oil and tiger decline. 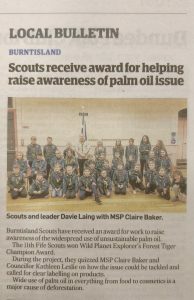 Great coverage in local press and recognition from Scottish Parliament too! 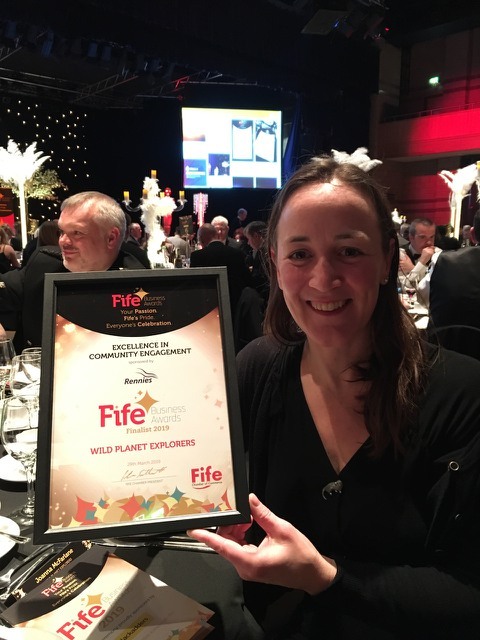 Very proud that Wild Planet Explorer's was a finalist in the Nature of Scotland 2018 Business Award category! Had an amazing night but not to be this time with Barratt Homes winning the category! Next year? 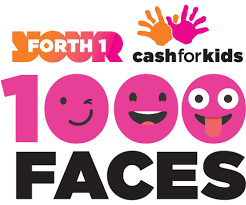 Wild Planet Explorers is delighted to announce we have hit our Cash for Kids 1000 Faces Campaign £100 target! 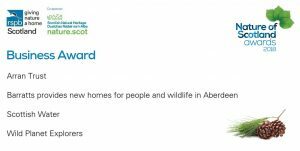 For every new Wild Planet Explorer in Fife, we have been making a donation to Cash which does amazing work for children in the local area where Wild Planet Explorers is based. 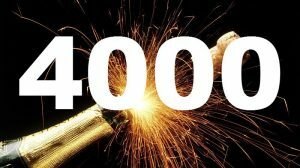 We will continue to donate to the 1000 Faces campaign for the rest of 2017. Wonderful news that the Scottish Government announced this month (Sept 2017) that there are plans for a national deposit scheme for bottles & cans! Update July 2017 - Great news! 10% of households in our first 3P Pledge villages of Limekilns, Charlestown, Pattiesmuir & Crombie have already pledged! 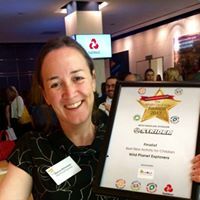 Founder of Wild Planet Explorers Joanna McFarlane has launched a new local community initiative in her local villages to address the build up of toilet waste being seen in her local streams, rivers, seas & on beaches. Wipes, cotton buds, nappies, sanitary waste are being found strewn across local countryside due to drain blockages they cause & the resulting overflow of toilet waste into nearby waterways. There are only 3 things that can be put down the toilet - Pee, Poo & toilet Paper. Wipes, including biodegradable or flushable wipes do not break down quickly enough like toilet paper & quickly cause blockages. The initiative is called The 3P Pledge & asks every individual in a household/family, nursery, school, class, group, business, street, village, town or city to pledge to only put the 3P's down the toilet & nothing else. You can simply pledge via the Facebook page https://www.facebook.com/The3PPledge/ or you can become a 3P Pledge Champion - more info coming soon on this website how to become a champion. 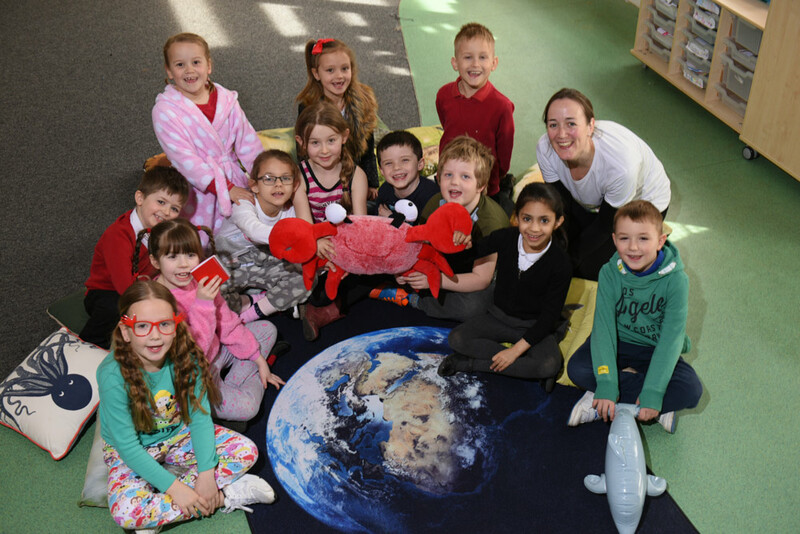 Through being a 3P Pledge Champion, you can also become a Sea Champion for the Marine Conservation Society. 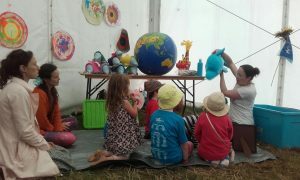 For more info in the meantime, please contact joannamcfarlane@wildplanetexplorers.co.uk. 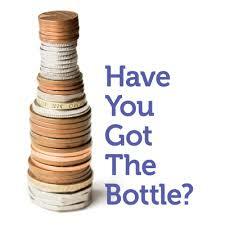 Wild Planet Explorers is proud to be a partner in the Have you Got the Bottle Campaign. This campaign would like a Deposit Return System in Scotland. A deposit return system means you pay a small deposit when you buy drink cans and bottles, which you get back when you return them. By increasing recycling and reducing litter, it would lead to a cleaner, green and more sustainable Scotland for us all. Look at these stats! 1. 37 countries or regions in the world have already introduced effective deposit return systems including Germany, Norway, Sweden, Finland, Croatia, most of Canada, 10 US states and large areas of Australia. 2. Drinks packaging is responsible for 80-95% of the litter in our seas by volume or weight and 50% of litter on land. 3. Deposit returns achieves recycling rates of over 90%+ in places that have it. This leads to huge reductions in litter! 4. In Germany 98.5% of plastic bottles are recycled. 5. A Scottish poll in 2015 showed that nearly 79% of people in Scotland were strongly or somewhat supportive of a deposit return scheme. 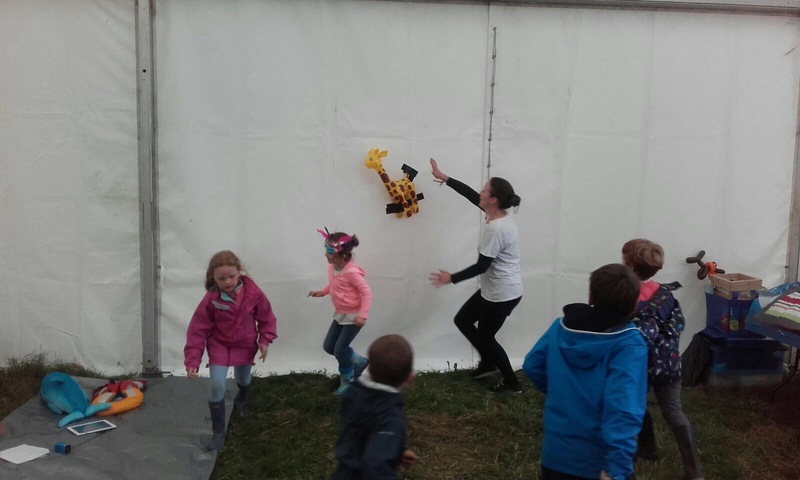 Wild Planet Explorers is celebrating after engaging with 2500 new Wild Planet Explorers across Fife and Scotland so far (as of August 2018), in nurseries, schools, family sessions, groups, events and festivals. 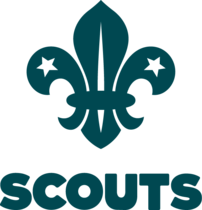 Fantastic to be working with the Scouts across Scotland to deliver for their programmes. 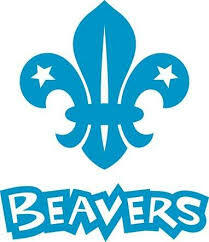 Many Scout groups are now taking part in the 3P Pledge Champion Award to tackle the issue of marine litter and in particular sewage related debris. Look forward to meeting more groups in the coming months! Had a great time in London at the What's on for Kids Awards 2017 where I was a finalist in the Best New Activity for Children. Not to be this time but amazingly inspiring event! 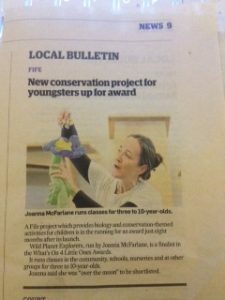 As of August 2017 there were 1200 new Wild Planet Explorers across Fife & Scotland which is amazing! Thank you to every individual who has been a part of this - here's to many new Wild Planet Explorers becoming beginner biologists & conservationists across Scotland & having lots of fun at the same time! 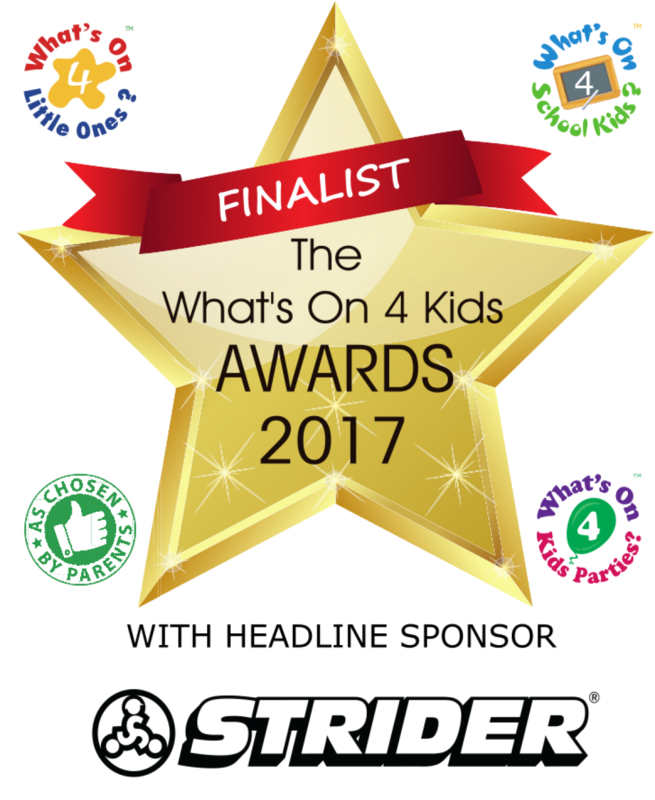 After officially launching just 7 months ago, Wild Planet Explorers is a FINALIST in the What's On 4 Little One's Awards for Best New Activity For Children! 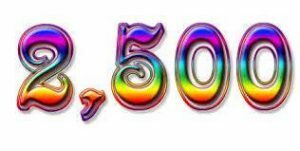 A huge thanks to everyone who voted & who has supported Wild Planet Explorers over the last 7 months & in the trial year beforehand. 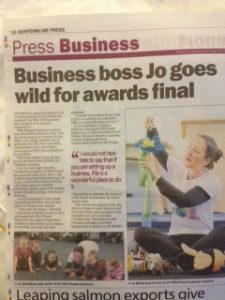 The winner will be announced at an Awards Ceremony in London in October. 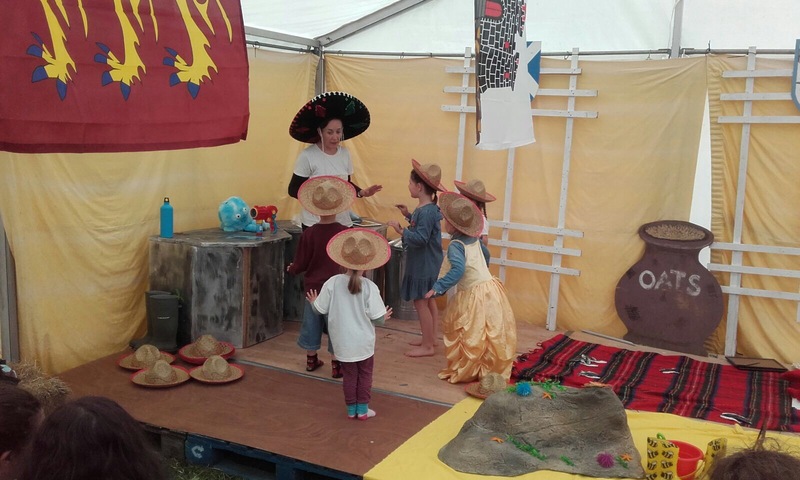 Wild Planet Explorers had a great summer delivering sessions across Scotland at Aberdour Festival, Belladrum, Linlithgow Party at the Palace & ButeFest. 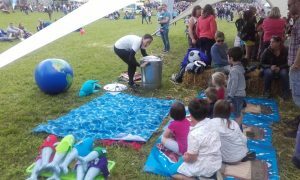 Huge thanks to all the organisers for inviting us & to the fantastic new Wild Planet Explorers & their families who embraced the crab & dolphin fun throughout! 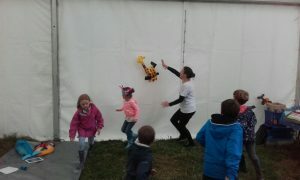 In wellies, mud & all!